Lightweight and sturdy clothing rack! This portable garment rack system is perfect for merchandising different pieces in tight spaces. Quick and easy set up and take down, making these retail clothing racks great for on the go or for moving around your store. Use bottom starter piece alone or add top add on to display more. Top add on display is item 2439bk. Optional grid panel is specially designed to use with any of our grid accessories for endless merchandising possibilities. 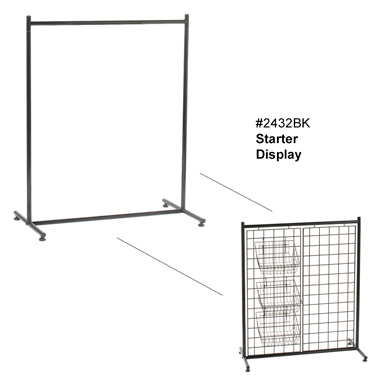 Grid panel is item 2438 and sold separately. 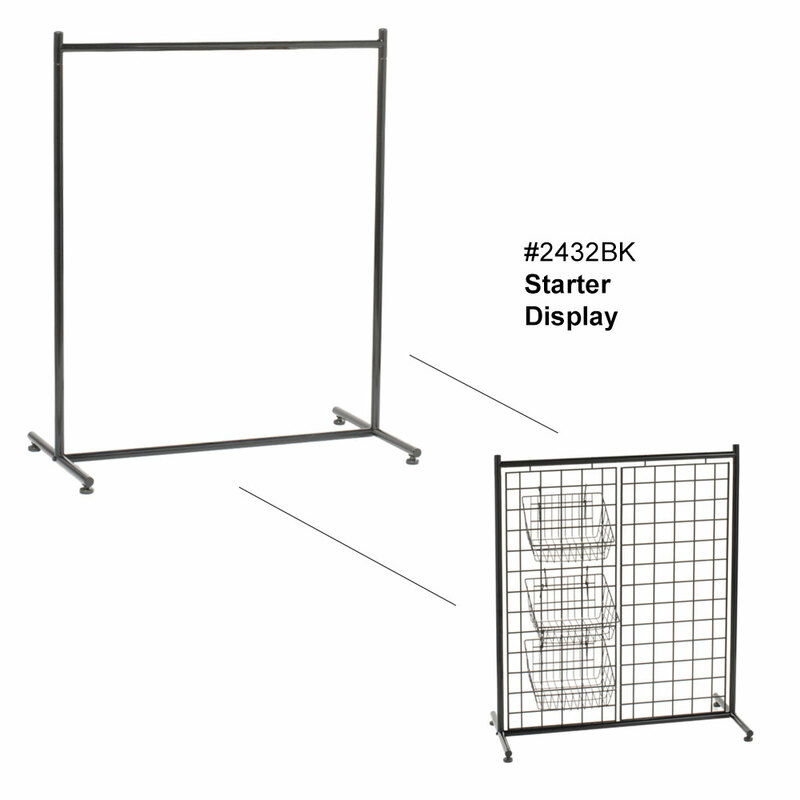 Make your display mobile by adding casters, item PTS240 sold separately. For further offerings, we invite you to take a moment to view our entire inventory of retail clothing racks for sale at Specialty Store Services today.